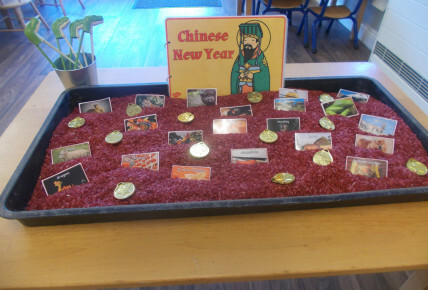 The nursery celebrated Chinese New Year in a range of exciting and engaging activities. Across the nursery the children were able to celebrate Chinese New Year through various creative activities such as making lanterns, painting lucky wallets and creating fans. 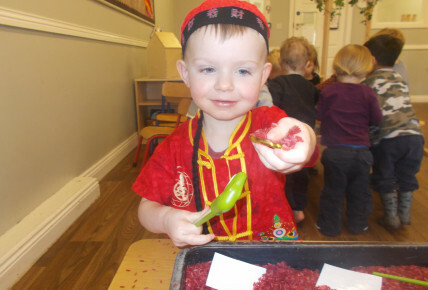 The children had the opportunity to dress up in traditional Chinese clothes as well as developing their fine motor skills through using chop sticks in our Chinese New Year tuff spot. In the afternoon we sampled a range of Chinese food.